We provide on-time safe and reliable ground transportation service in the entire Bay Area, California (CA). We offer exceptional airport transportation to/from San Francisco (SFO), San Jose (SJC), Oakland (OAK) Airport and FBO's. Whether you require corporate/executive transportation, airport car service, wedding, proms, wine tour, events, or are planning a night out or special occasion - trust only Concept Transportation Service. Airport Transportation, EarthTran Global Limousine offers Airport Transportation, chauffeured car services, and luxury transportation with an affordable rate. We do provide limousine Service to and from Atlanta Airport and anywhere you want to go in Atlanta. Chicago Highway Limousine offers the best and most comfortable Car and Limousine service in town. Whether it is Chicago O'Hare or Chicago Midway airport transportation or corporate limo service you are looking for, Highway Limousine, Chicago, IL, has its fleet of Limousines at your disposal. Our rates are very economical, and competitive. 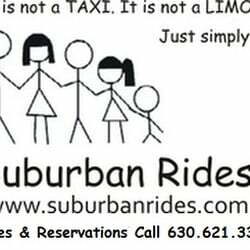 We offer a Lincoln Town Car, a Luxury SUV, or a Stretch Limousine for your business travel, airport transportation, and for your special occasion in Charlotte NC and the surrounding area. We're consistently 10 minutes early for all appointments. Our first class services assure you safety, gratification, a peace of mind, and a comfortable successful travel.